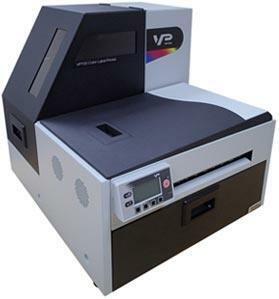 This VP700 Digital Label Printer is the perfect solution for your in-house label production needs. This machine allows you to be in control of your packaging. Having the ability to change artwork in real time, gives you a promotional and marketing advantage. Connect this printer to your computer using a USB or Network Connection and start printing 1600x1600 dpi high quality labels. The VP700 Label Printer enables continuous printing of pressure-sensitive labels, narrow web packaging, retail tags, professional documents, pre-die-cut labels, and much more. This printer is great for private labeling projects, small and large businesses, from manufacturers to consumer shops.